This challenge is about exploring opposite colors on the color wheel. We also had to include white, black, and grey. 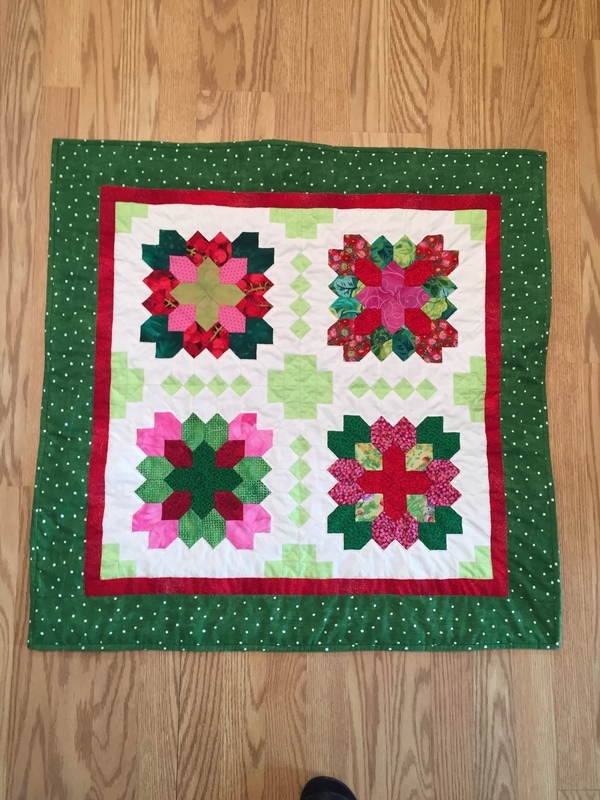 The piece had to contain 16 pieces and be 16 by 16 inches. 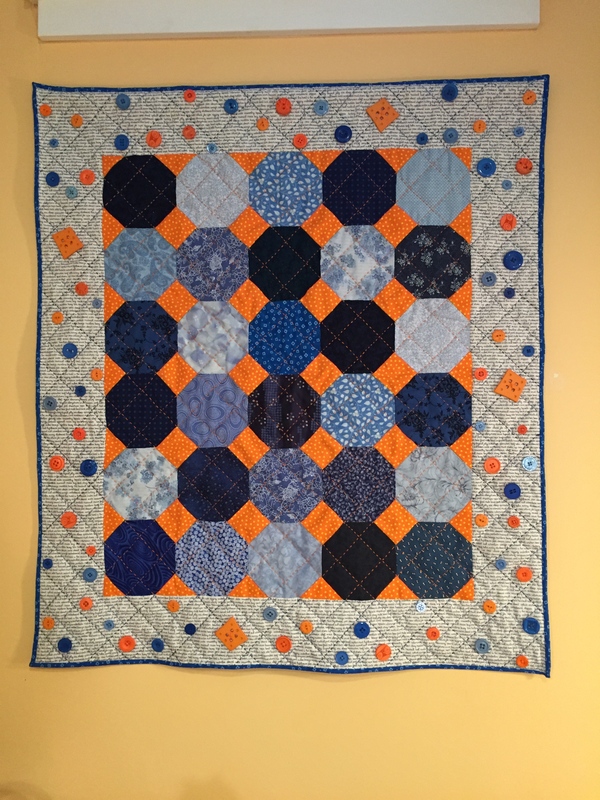 Here’s mine–and trust me, it will pale in comparison with the creativity that some of the other Coastal Quilter members will devise. I am, though, interested at the moment in how geometric shapes work together. Purple and yellow are my opposite colors. The primary colors (red, blue, yellow) and their opposites (green, orange, purple, really a blue violet) create the biggest visual “pop”–and to me, the purple/yellow combo is the most startling. Red/green and blue/orange seem much more mellow to me. One of the fallen petals is black. 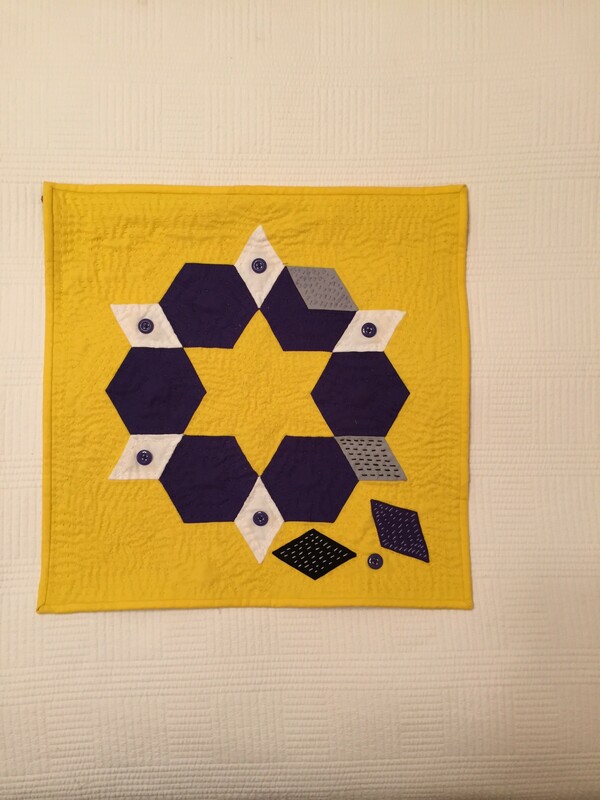 In order to keep to 16 pieces, I used the background piece and the arrangements of the hexagons to make the center star. 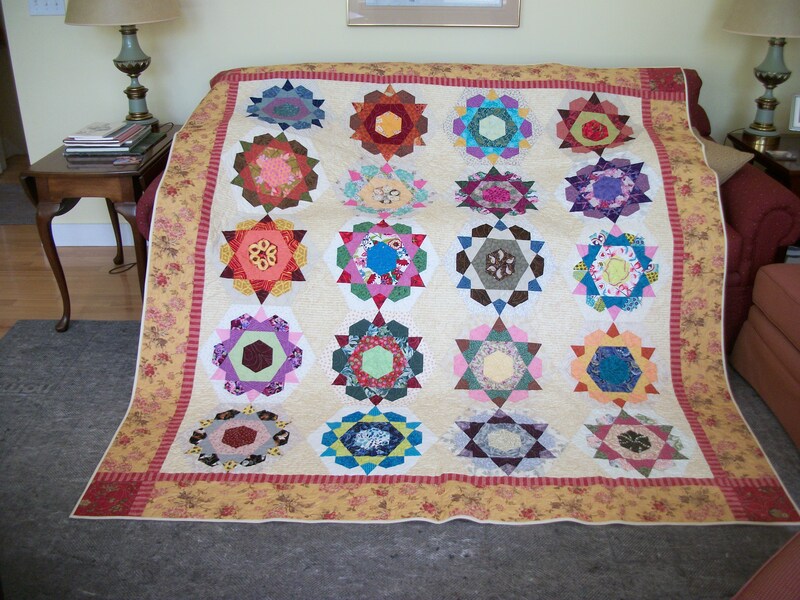 Then I used pearl cotton to “quilt” the piece–and had to search to find the violet/purple color. 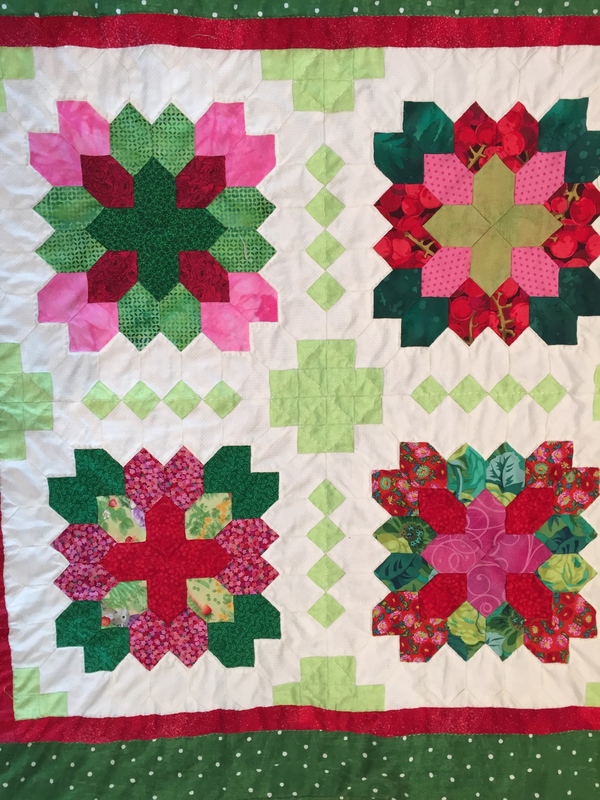 I left gaps in the stitching ini places to accent the dominate shape. The buttons were in my stash of buttons and matched perfectly. Lucky find there. 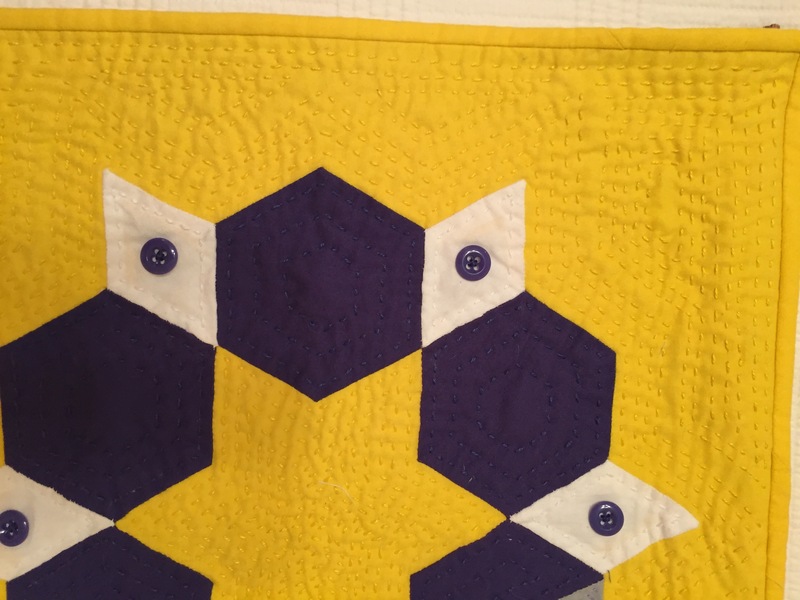 Hexagons can be linked via diamonds–and three diamonds can work together to create the hexagon shape–which you can see when one diamond is removed from the hexagon. 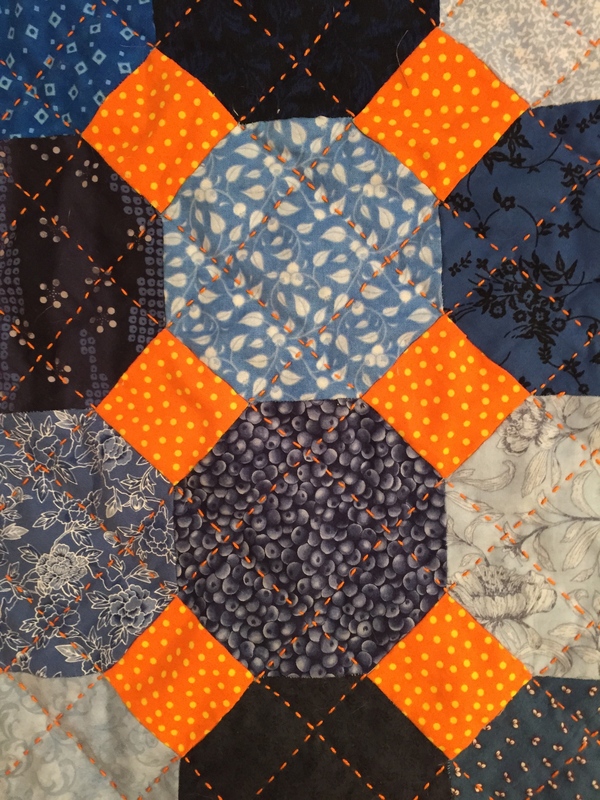 That manipulation of color–as you can see in the top right with the grey area–can make the “tumbling block” that is so interesting in a quilt. You would make a light “top” triangle, a medium triangle, and a dark triangle–and keep the color placement fixed. See the block up close. The outer ring of neutrals is also made from the kite shape. 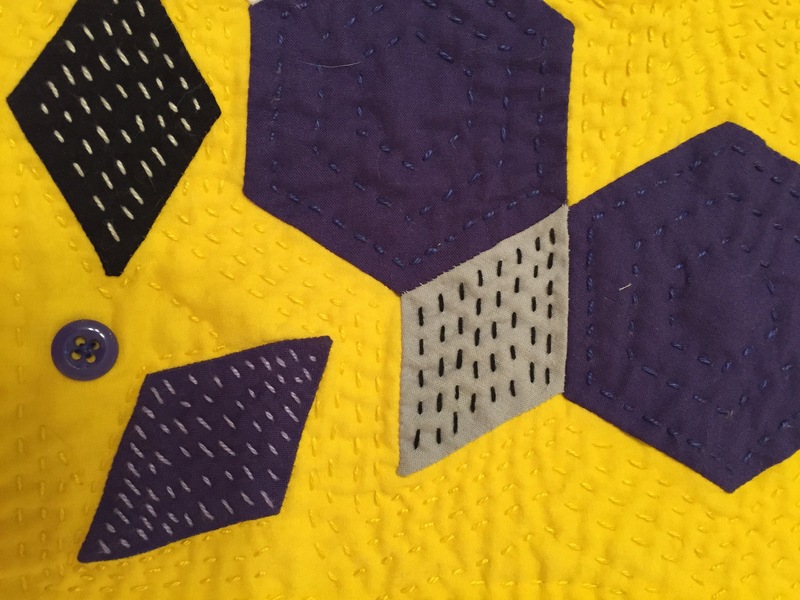 I am, at the moment, working with some large hexies in purple with yellow diamond joins–not sure how this study will develop, but it will be the last of my color studies. 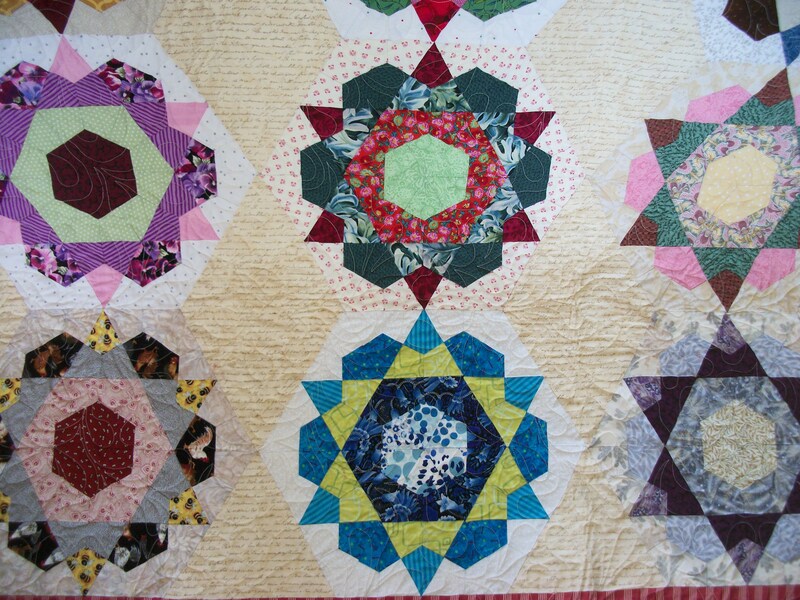 This is the Lucy Boston “honey comb” hexie being paper pieced.